As posted on The Intelligencer, February 28. PICTON - The Sounds of Ireland, a benefit concert featuring tenor Julian Gallo (aka Wally Williamson), accompanist Tom Dietzel and soprano Lenni Stewart, will be performed at St. Andrew's Presbyterian Church, on the eve of St. Patrick's Day. Presented by the Kiwanis Club of Picton, the Friday, March 16 event will begin at 7:30 p.m., with tickets available at the church, from the offices of Century 21 Real Estate, or at Stephen Licence in Belleville.Concert proceeds will be donated to Sleeping Children Around the World (SCAW). Founded by Murray Dryden (father of NHL hockey player Ken Dryden) and his wife, Margaret, in 1970, SCAW has since raised more than $23 million to provide bed kits for children in 33 countries. 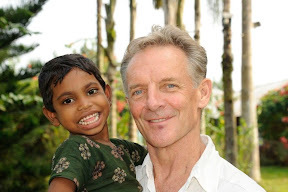 In 2009, this organization helped its millionth child. SCAW provides bed kits to children of all races and religions who will benefit most from them. Typically, they live in undeveloped or developing countries. Each $35. donation (in Canadian funds) provides a bed kit containing a mat or mattress, pillow, sheet, blanket, mosquito net (if needed) an outfit of clothing and school supplies. Contents of the kits vary from country to country, depending on local needs says SCAW. No part of a bed kit donation is spent on administration. All of the money is used to help children in need. The Sounds of Ireland also will be presented at Madoc`s Trinity United Church on Sunday, March 11, at 7:30 p.m. Tickets are available at the church, from the Community Care office, at Hidden Treasures in Tweed, Balu`s Pharmacy in Stirling and from Bush Furniture in Tweed and Madoc. The Madoc concert also will feature songs from both World Wars. Proceeds from this event will be donated to Community Care for Central Hastings. 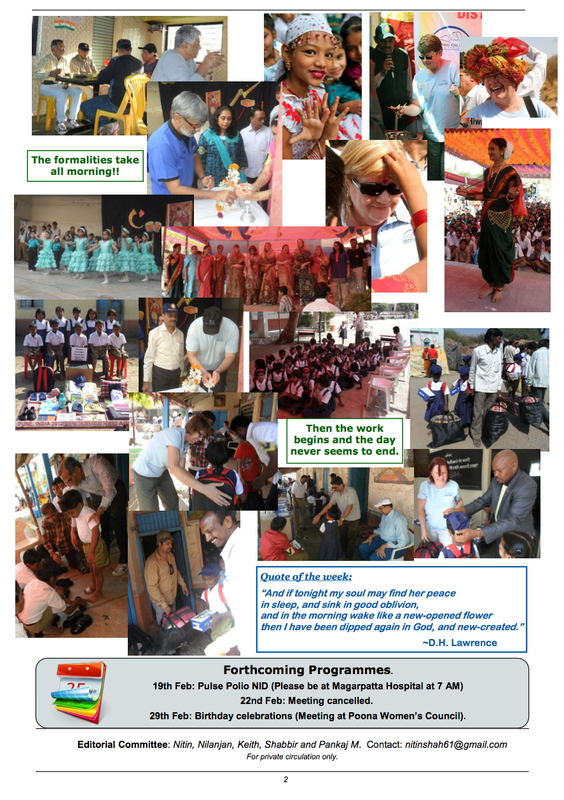 Photos are available in the Kolkata 2012 Photo Album. You can view them by clicking the link above. As posted by the Caledon Citizen, February 23, 2012. These Grade 8 students contributed $350, enough to buy 10 bed kits for Sleeping Children Around the World. They presented the cheque to Dave Dryden recently. 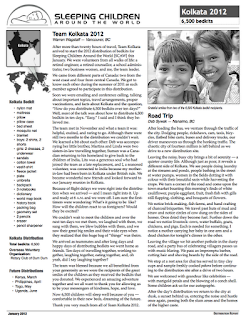 Palgrave Public School has developed a reputation for being a big supporter of Sleeping Children Around the World (SCAW), and they demonstrating that. Former NHL goalie Dave Dryden, son of Murray and Margaret Dryden who founded the program, was at the school recently to thank the students and assure them that their contributions are appreciated by young people in other lands. Student MC Sydney Trepanier told the assembly that the program has distributed 1,195,630 bed kits. “That’s a lot of happy children,” fellow MC Melissa Blackwell said, adding the kits are distributed to children in such countries as Kenya, Philippines, Uganda, Sri Lanka, etc. She also said the school has raised money of the years for some 2,200 bed kits. And Sydney added since the Rotary Club of Palgrave matches the contributions, that has resulted in more than 4,000 kits. They said the school has been supporting the program for some 20 years. They also praised some individual efforts among the students, including that of Spiro Anthanasoulis, who presented Dryden with a cheque for $210. “You’re going to give a good sleep to a lot of kids like you,” Rotarian Wayne Cowell told the students. He also commented that the Palgrave club is so fond of the charity that they made a video about it, and sent it to Rotary clubs all over Canada and the United States, in the hopes of generating more interest. 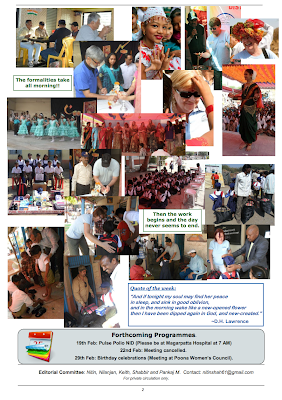 “You really have done an amazing job for kids all over the world,” Dryden told them. He also said the kids who received these bed kits experience a similar magic moment; one they remember. He and a team of volunteers travelled to Kenya last year to distribute about 5,000 kits, and he showed the students pictures of the trip. “They were wonderful kids,” he remarked. As posted by the Caledon Enterprise, February 21, 2012. 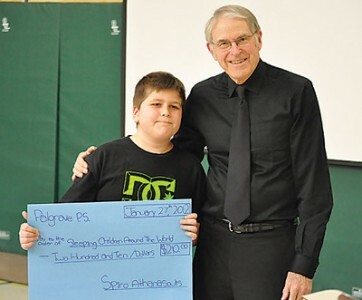 Spiro Athanasoulis, a Grade 6 student at Palgrave Public School, donated a cheque for $210 to Sleeping Children Around the World, to help provide bed kits for children in developing countries. Seen with him here is former NHLer and head of the organization, Dave Dryden. When Spiro Athanasoulis handed over a cheque for $210 to Dave Dryden, son of Sleeping Children Around the World founder Murray Dryden, he sat down on a long bench with a big grin on his face. “It’s really neat when kids do this kind of thing,” he said of Athanasoulis selfless act. The Grade 6 student at Palgrave Public School asked his friends to donate money to the non-profit organization at his birthday party instead of bringing gifts. Helen, Spiro’s mother, couldn’t be happier with the generosity and selflessness her son has shown. And while Spiro presented his own cheque, the entire student and teacher population donated 119 bed kits to the organization. The bed kits are collected across the country and sent to people in countries like Kenya, Tanzania, Philippines and Sri Lanka, as planned this year. According to Dave Dryden, the plans are to deliver more than 27,000 beds to those four countries alone. The Rotary Club of Palgrave is giving $2,100 to the organization, matching the donations collected by students at the school. It’s the 21st year the school and the Rotary Club have been involved in the project, which has collected over 1.1 million bed kits since its inception in 1970. Heather Patterson, one of the parent volunteers who helped coordinate the project this year, said it’s an important part of the Palgrave philosophy of helping others. And for former NHLer Dave Dryden, he characterizes the 2,200 bed kits the school has donated in over two decades – each individual kit – as special. Click on graphic for ticket information. Photo submitted by Tom Kumagai, Publisher of SNAP Caledon, February 15, 2012. Last month, Palgrave School, asked SNAP Caledon to come to their school. They did and sent us this photo of the event. In the photo are (Right) Wayne Cowell, chair of the Sleeping Children Around the World (SCAW) committee of the Rotary Club of Palgrave, and (Left) Dave Dryden, the chair of SCAW with Sydney and Melissa, two students at the school. 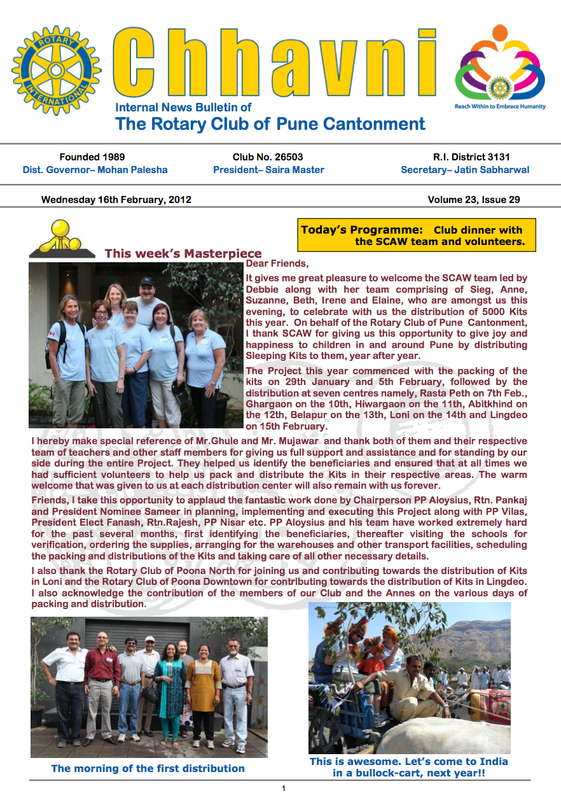 As published by the Rotary Club of Pune Cantonment, February 15, 2012. It gives me great pleasure to welcome the SCAW team led by Debbie along with her team comprising of Sieg, Anne, Suzanne, Beth, Irene and Elaine, who are amongst us this evening, to celebrate with us the distribution of 5000 Kits this year. 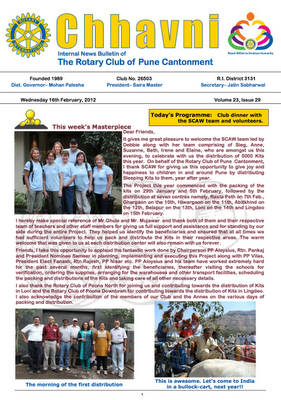 On behalf of the Rotary Club of Pune Cantonment, I thank SCAW for giving us this opportunity to give joy and happiness to children in and around Pune by distributing Sleeping Kits to them, year after year. The Project this year commenced with the packing of the kits on 29th January and 5th February, followed by the distribution at seven centres namely, Rasta Peth on 7th Feb., Ghargaon on the 10th, Hiwargaon on the 11th, Abitkhind on the 12th, Belapur on the 13th, Loni on the 14th and Lingdeo on 15th February. I hereby make special reference of Mr.Ghule and Mr. Mujawar and thank both of them and their respective team of teachers and other staff members for giving us full support and assistance and for standing by our side during the entire Project. They helped us identify the beneficiaries and ensured that at all times we had sufficient volunteers to help us pack and distribute the Kits in their respective areas. The warm welcome that was given to us at each distribution center will also remain with us forever. Friends, I take this opportunity to applaud the fantastic work done by Chairperson PP Aloysius, Rtn. Pankaj and President Nominee Sameer in planning, implementing and executing this Project along with PP Vilas, President Elect Fanash, Rtn.Rajesh, PP Nisar etc. PP Aloysius and his team have worked extremely hard for the past several months, first identifying the beneficiaries, thereafter visiting the schools for verification, ordering the supplies, arranging for the warehouses and other transport facilities, scheduling the packing and distributions of the Kits and taking care of all other necessary details. I also thank the Rotary Club of Poona North for joining us and contributing towards the distribution of Kits in Loni and the Rotary Club of Poona Downtown for contributing towards the distribution of Kits in Lingdeo. I also acknowledge the contribution of the members of our Club and the Annes on the various days of packing and distribution. Click on either graphic to see it in a larger size. As posted on VICNEWS.com, February 14, 2012. The Canadian Club of Victoria's speaker series focuses on philanthropy Feb. 21. Judy Dryden will speak about her work delivering bed kits to 15,500 children in Third World countries, as part of Sleeping Children Around the World, an organization founded by her parents. Also, Sandra Richardson of the Victoria Foundation will talk about how the organization allocates its resources and where it fits in the national philanthropic scene. The lunch costs $25 and takes place at Comfort Inn, 3020 Blanshard St.
Register by Feb. 16 by calling 250-370-1837. As posted on the Barrie Examiner website, February 11, 2012. J.T. McVeigh Photo - Donald Potter holds a picture of the city in Kenya where his Shoes for Africa campaign is directed. A pair of shoes is a daily necessity to us. But for thousands of children in Nairobi, Kenya, it’s a privilege few are granted. Donald Potter saw the battered bare feet of these children during a trip there with Sleeping Children Around the World (SCAW) four years ago, and has a plan he knows will be a ‘shoe-in’ for support. “We’re trying to get shoes for the women and children over there,” said the 80-year-old Barrie man, who is a nine-year volunteer for the Canadian foreign aid organization. Potter travelled to Dadaad Camp in Nairobi with other SCAW volunteers to deliver and distribute more than 4,000 bed kits to children, which provide them with a comfortable place to sleep off the hard earth. SCAW distributes these kits to many impoverished villages in Third World countries. Potter said he took one look at the children’s feet as they lined up for kits and his heart sank. “I noticed all these children and mothers with no shoes and their feet were scraped, cut and bruised,” he said, grimacing. “These children walk several miles to school every day in bare feet through broken glass, rocks and mud. Last October, Potter began organizing the Shoes for Africa campaign. Although this project was independent of SCAW, Potter consulted the group’s Rotary Club contact in Kenya to help facilitate the purchase of shoes. “I contacted Parmindar Lotay in Nairobi, and he told me to leave it with him,” Potter said, noting that Lotay contacted Bata, an international shoe company, and cut a good deal on 5,000 pairs of flip-flops. 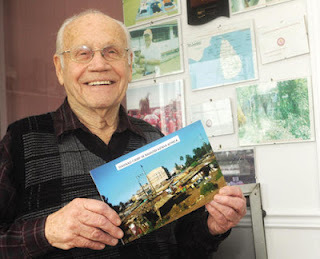 “I got the OK on the deal, and I had started making and distributing DVDs to local schools and churches, and to the local Rotary clubs,” he said. Potter made presentations to local Rotary clubs, and the community, and has managed to raise $5,000 to purchase 5,000 pairs of shoes. Rotary in Kenya will assist in the distribution of the shoes. With the campaign meeting its first target, Potter now plans to focus on another impoverished area. “Now that we’ve got enough donations for shoes for Nairobi’s children, I’ll start fundraising for India, Sri Lanka or the Philippines,” he said. Potter is reaching out the community for help him continue providing much needed footwear to Third World villages. He has opened an account for Shoes for Africa at TD Canada Trust on Big Bay Point Road. Anyone wishing to donate to the cause can contact Potter at 705-737-2027 or potterdonald@ymail.com. As posted in the Stratford Beacon Herald February 3, 2012. One could say that Doug Mac-Dougald orchestrated his departure from the board of Festival Hydro. As a member of the utility company from day one in 2009 following the dissolution of the Stratford Public Utilities Commission, he was an active participant in making provision for regular turnover of Festival Hydro board members. More significantly, though, MacDougald was a key player on the utility company's board for more than a decade. "He's quite frankly known as Mr. Festival Hydro," said current Festival Hydro chair Howard Famme. "He served on the board for the past 11 years, four of them as chairman, and all 11 on the finance committee." During MacDougald's term, said Famme, the utility company paid more than $10 million in dividends to the city of Stratford plus interest of more than $1 million per year for the entire period. During the city's 2005 budget year, Famme said, Festival Hydro provided revenue amounting to about 7% of the municipal tax levy. The company, whose shares are wholly owned by the City of Stratford, also made possible the base financing for the Rotary Complex. "It's been a pretty amazing 11 years," said Famme, who also credited MacDougald for his involvement in the amalgamation of the seven hydro companies that comprise Festival Hydro Inc. -the electricity companies in Stratford, St. Marys, Seaforth, Brussels, Hensall and Zurich and Dashwood. MacDougald is a partner veterinarian with South West Ontario Veterinary Services located in Stratford, a company that provides services to the swine industry. "Business is business," he said, when asked what particular skills he felt he brought to Festival Hydro and Rhyzome Networks, the company that's building the data infrastructure for Stratford's emergence as a digital technology centre. It's essentially about good business practices and good communication, said MacDougald. The electrical utility company has made good collaborative decisions giving consideration to providing the best value to the communities it serves. You can't make short-term decisions when you're running an electrical distribution company, added MacDougald, citing the company's capital policy focused on renewal of infrastructure. "We've got a tremendous board and tremendous senior management team. They are very capable." Even with all of its capital layout for infrastructure and keeping up to date with technology, including wireless technology, the company has still been able to return a substantial dividend to the City of Stratford each year. For fiscal 2011 the dividend paid to the municipality was $1.2 million. Although MacDougald has stepped down from the Festival Hydro board, he chuckles when asked about his "retirement." "I'm a real veterinarian not ready to retire," he said. MacDougald has been involved in dragon boating, in supporting the United Way and Stratford General Hospital Foundation and as a travelling volunteer with Sleeping Children Around the World, a Canadian charity that helps the poorest children of the world.